Dr Hierons has accumulated over 10 years in the field of facial aesthetics and skin health. After completing her degree in general nursing she went on to study further and gained a BSc in Dermatological conditions at Stirling University. She qualified from Liverpool in Dentistry in 1993 and obtained my postgraduate Fellowship in Dental Surgery from Edinburgh in 1996. 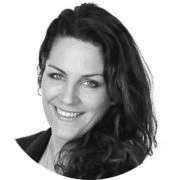 Dr Hierons worked in Chester, Sunderland & latterly as an Associate Specialist in Oral & Maxillofacial Surgery in Newcastle General Hospital over a period of 16 years, during which time she gained extensive experience in the field of oral and facial trauma. In 2010 Rebecca left the hospital to work for Queensway Dental Clinic and completed her postgraduate diploma in conscious dental sedation at Newcastle University in June 2011. She also has an interest in teaching and has been an Advanced Trauma and Life Support (ATLS®) instructor in the past. She regularly teach post-graduate Oral Surgery and is currently President Elect for the British Association of Oral Surgeons. She was instrumental in the inauguration of Queensway Skin Clinic in 2012 (having started her aesthetics training in 2010) and completed the FDGP (UK) Masterclass in Facial aesthetics with distinction in 2015. She has been lucky enough to train with a number of internationally renowned clinicians including Mrs Sabrina Shah-Desai, Dr Kuldeep Minocha and Dr Tapan Patel. Her ZO training started in 2014 with Dr Rachael Eckel and Dr Zein Obagi – she always ensure to do 2 – 3 training days every year familiarizing herself with new products and updating her knowledge. Dr Hierons is honoured to be part of the UK ZO faculty.